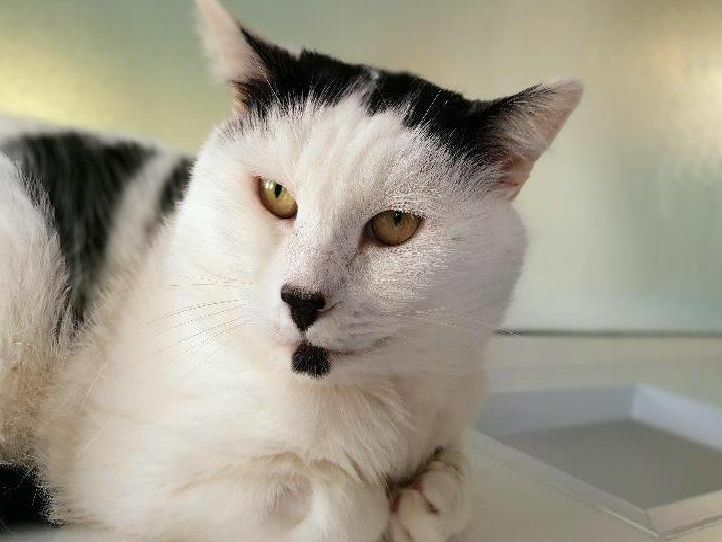 RSPCA Northamptonshire's branch has relaunched its cattery's opening hours to help find rescued moggies their forever homes. Here are eight cats who are now waiting at RSPCA Northamptonshire's branch in Brixworth every day between 11pm and 2pm for someone to take them home. Greetings from Mrs Waddles! An independent lady who was signed over by her owner. She is nine-years-old and looking for a quiet home where she can relax. Mrs W would probably prefer not to share her home with other cats or dogs. Poor Eric. This eight-year-old has lost one eye and is partially-sighted in the other, and also has the disease FIV. Can you find a soft sport and give Eric a quiet indoor home? Presenting beautiful Cecelia, a 17-year-old affectionate cat who came to the cattery with her brother Cecil when their owner could no longer care for them. Handsome Cecil has come into care along with his sister Cecelia. He is 17 and apart from being a little arthritic is in good health and adores fuss.